During marijuana’s controversial history, specifically its prohibition, many have considered it to be a “coping drug” used to self-medicate symptoms of anxiety disorders like PTSD i.e. post-traumatic stress disorder. Furthermore, studies funded by the government analyzing the link between PTSD and marijuana tend to use the term “marijuana abuse disorder,” a problem that they say can only be fixed through rehabilitation. The evidence that cannabis and PTSD have a sort of symbiotic relationship is strong. But, while many studies only look at PTSD sufferers and the prevalence of marijuana abuse among this population, there’s some emerging research that dares to look at this conundrum from a different perspective – is it possible that marijuana may be an effective treatment for PTSD? To get the answer to the above question, it’s important to first get a better understanding of what PTSD really is – essentially an anxiety problem caused by traumatic episodes, like a sexual assault or military combat. Additionally, if symptoms of PTSD persist for an extended period of time, it can lead to changes in brain chemistry. There are some PTSD sufferers who are lucky enough to live in states where it is legal to use medical cannabis as a treatment, but this is not an option for everyone. Those who have been to war especially tend to fall victim to PTSD – statistics show that about 20% of military personnel deployed in Afghanistan and Iraq have dealt with episodes. But, because cannabis is federally prohibited, veterans are being treated with antipsychotics and antidepressants instead, medications with low success rates when treating those who suffer from severe PTSD symptoms. As of right now, there are no effective medications that are available specifically for those who suffer from PTSD. But, this doesn’t mean that there has been no progress in the field. For instance, researchers have made several discoveries about our bodies therapeutic hotspot, i.e. the endocannabinoid system, which helped them gain a new perspective on PTSD and its treatment. This new research has found another common thread in all PTSD sufferers – lower levels of something called anandamide- in comparison to those who showed no symptoms. Anandamide is an endogenous cannabinoid compound (i.e. our inner marijuana, in a manner of speaking) that’s responsible for triggering the same receptors of THC and other cannabis compounds. In other words, this information points to a link between PTSD and a deficiency in our endocannabinoids. Those who suffer from this disorder don’t produce enough of these compounds, but the cannabinoids in cannabis can replenish our stores. Furthermore, researchers believe that marijuana pharmaceuticals might help PTSD patients find relief from painful memories. Before using cannabis to treat symptoms of PTSD, it is important that patients consult with a licensed physician. Those who are not used to marijuana may find that the THC makes their anxiety symptoms worse. However, cannabidiol (also known as CBD) is a cannabinoid that minimizes some of the negative effects like anxiety and paranoia. PTSD cannot be treated with medication alone, but marijuana has been shown to provide some relief when prescription medications have failed. Still, cannabis’ promising pharmaceutical possibilities are continuously being ignored by government-funded research organizations. 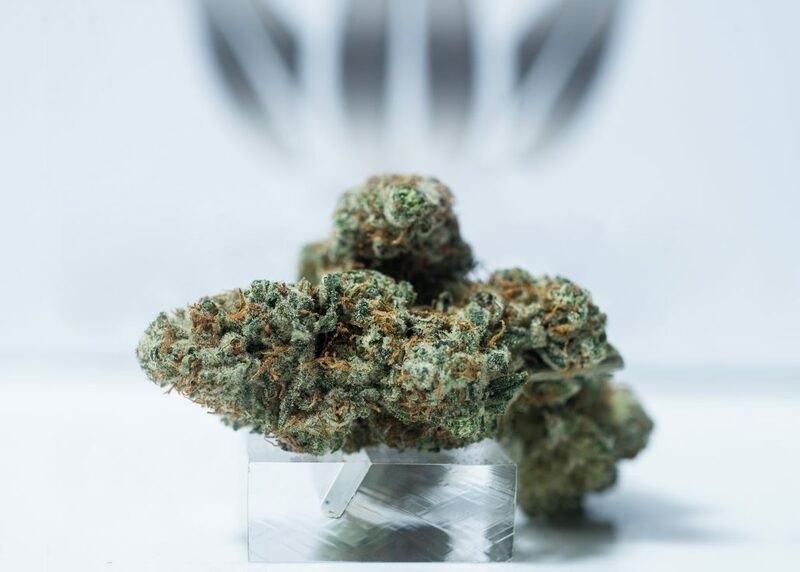 But, there is some good news – as more people are getting educated about the healing properties of medical cannabis, momentum is building that promises a change to this country’s legalization policies.